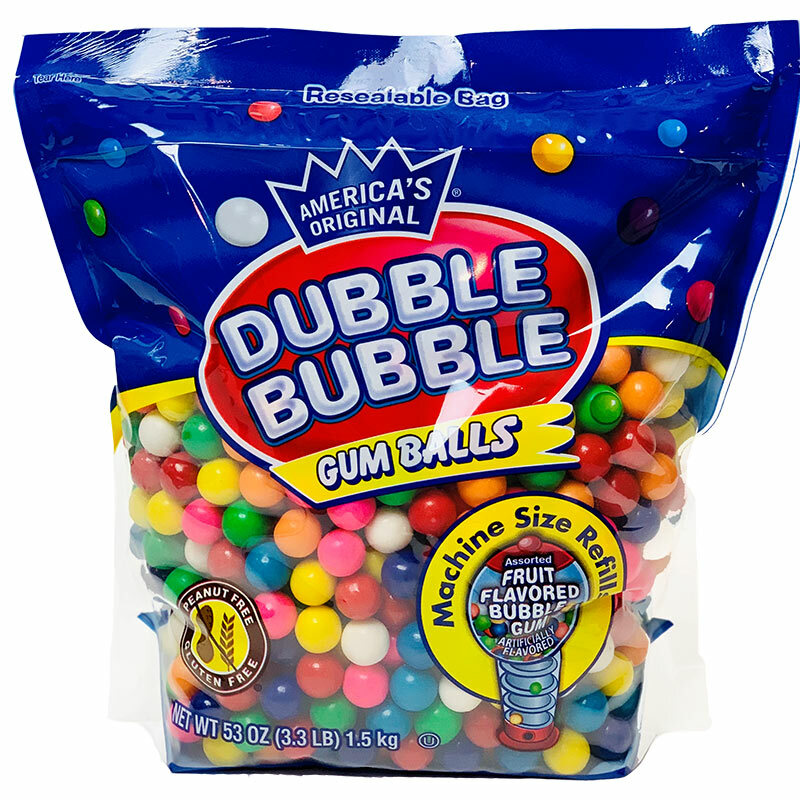 Gift set includes 53 oz (3.3 lbs) of super fresh Dubble Bubble gumballs! Authentic King Carousel Gumball Machine. Our largest Gumball Bank combines a 7.5"(19.05 cm) cast metal base with a 7.5"(19.05 cm) clear glass globe for an impressive 15"(38.1 cm) height. The solid cast metal base gives it a substantial feel and stability. The internally threaded metal bottom plate can be mounted on top of our cast metal floor stand, which is 23"(58.42 cm) tall, bringing the overall height to 38"(96.52 cm) with both Gumball Bank and stand. 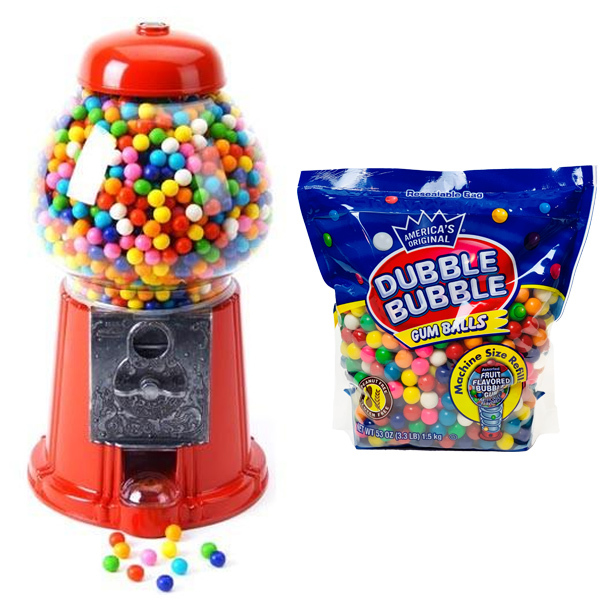 The dispensing mechanism is adjustable to vary the amount of candies or gumballs dispensed and an anti-spill cover keeps those candies or gumballs in the tray.